Like many of the communities in Utah, Pleasant Grove was settled by the Mormon pioneers. These early settlers were sent by Brigham Young, thus establishing the small community September 13, 1850. The pioneers were attracted by a small grove of trees which gave promise and hope of a land with water and rich soil. The official name "Pleasant Grove" didn't come first although the name was based on the small grove of trees that were here when they first arrived. The first name of this community was "Battlecreek", named after the first skirmish in Utah between the Indians and pioneers, located in the mouth of the canyon above this small community. Because of the Indian conflicts, the settlers were instructed to build a fort for protection. A meeting house and school house were then constructed to meet the spiritual and educational needs of the people who came to Pleasant Grove. 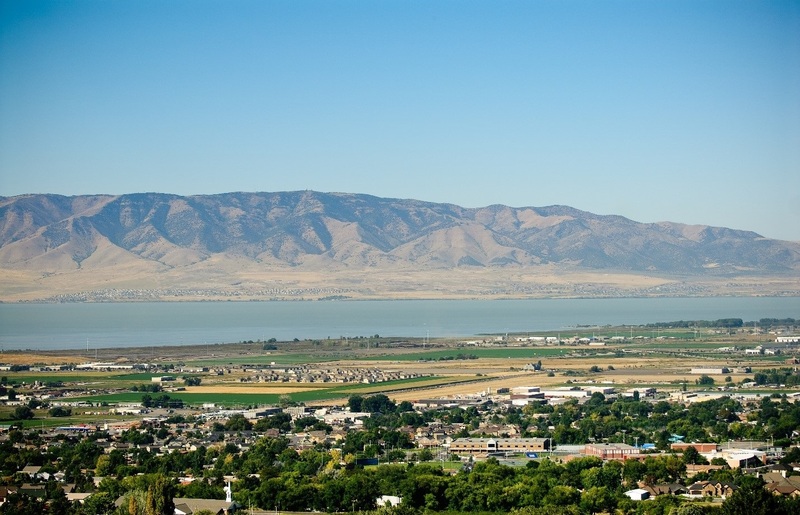 On January 19, 1855, the territorial legislature approved Pleasant Grove to become incorporated. The first municipal election was then held in May 1855 and Henson Walker took office as the first Mayor. Nicknames began popping up that described certain areas of the community: "Little Denmark" was the area where Scandinavian people settled: "Monkey Town" was named because the youth gathered on "fog" corner in the area and "monkeyed" around which caused adults great concern over the "...mischievousness of the youth." "Mud Hole" was an area where the community's merchandising and entertainment occurred. It was said that the "upper class" lived in this area.